How do you convince your child to eat fruits and veggies? Encouraging your child to eat their fruits and vegetables is just not enough anymore. Many parents look to the internet and parents groups for ideas on how to convince your child to eat their fruits and vegetables. Heck, wouldn’t it be nice if they even started to enjoy and liked eating them? There are so many ideas and theories out there. But when it comes down to it, you have to do what works best for you and your family. Something that is comfortable and feasible for your lifestyle. Having the child self-feed is always a great idea. It not only helps with having them eat, but encourages development. 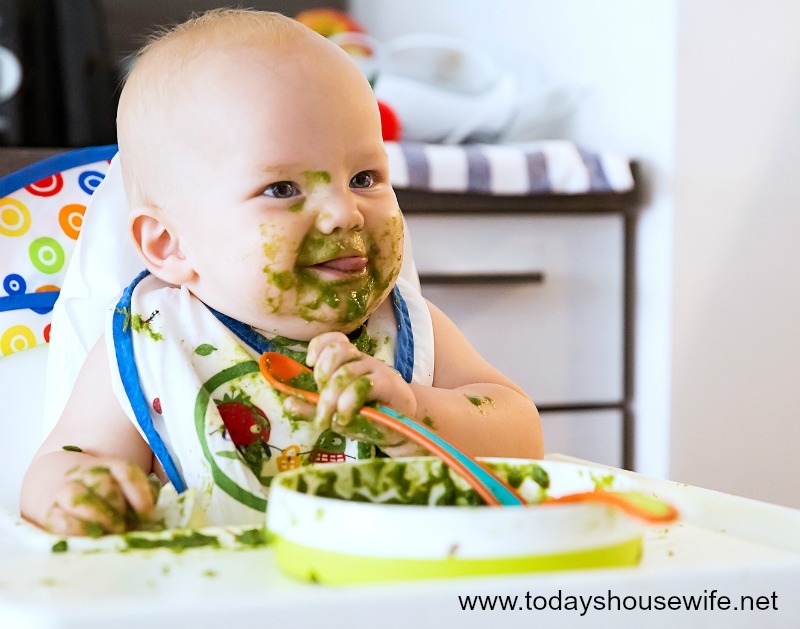 When starting self feeding it is always a good idea to prepare your self. If you have white carpet in your dining room, that may not be for you. When thinking about a safe and friendly eating area for child is makes sense to have something easy to clean up and ready for the next meal. Wood floors are often a way to go. These types of flooring allow for easy spill and mess clean-up. There are many different kinds of wood flooring out there from easy to install for your do-it- yourselfer to having a professional install a magnificent natural wood floor. The possibilities are really truly endless. So once you have the eating area all prepped and you are ready to make some messes or not its time for some ideas. There is such an eternal battle between kids and eating their veggies and fruits, but an idea is to let them take part in the planting of child-friendly varieties of plants in your garden. The garden can be a large scale of even just a few potted plants on the deck. The idea is to get your child involved in the growing process. The more time they have invested in the process the more you may find that they are willing to try the end products of their labor. A few ideas of child friendly plants are: chocolate, peppers, watermelon, radishes, and Italian rose beans. These are all examples of Heirlooms. Heirlooms seeds and plants are also hundreds of years old and can be traced back hundreds of years. So not only are you helping with getting them involved you can also spill in a little history lesson as well. Another fun idea, is to grow your own popcorn. Your children can grow their own popcorn that is a specialty kernel with tough hulls and starchy center that produces the pop when heated. Robust Yellow hybrid and Japanese White hull-less are great examples of a few varieties. Getting you child to eat many different varieties of vegetable may also be an issue. Home-made pizza making is a fun and creative way to also get them involved in the process. Pizza fixings can also be grown as well. Oregano, basil, and thyme is an easy way to spice up things. 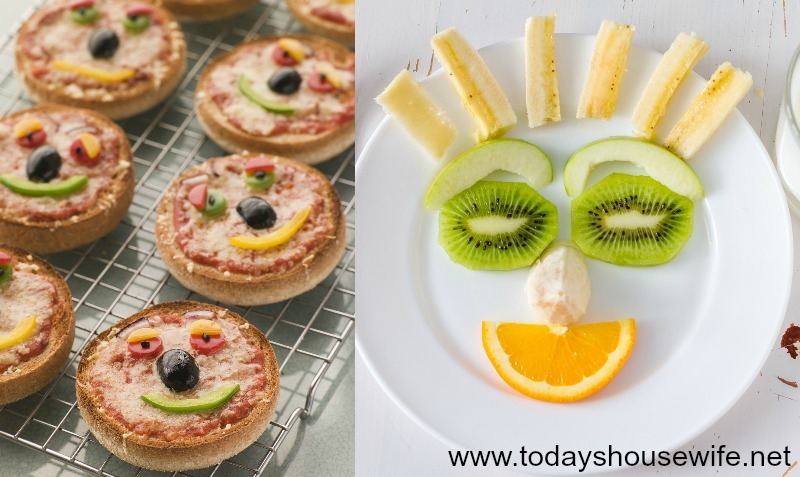 Having a large variety of fruits and vegetables cleaned, cut up, and ready to place on the top of the pizza is a fun way to make your pizzas into faces or a picture. Using the different colors and shapes that they have to offer really makes it a great idea. This may also get a bit messy so having wood floors or tile in your kitchen makes for an easy clean up after the dinner is over. There is some planning that can help with getting the kids to eat well. Scheduling meals throughout the day helps to keep t hem healthy and more balanced. Keeping the fruits and veggies involved in not only the main meals but also in the snacks. When planning on being on the go for the day pack snacks that are easy to eat and healthy. This keeps you away from take out that rarely involve fruits and vegetables. Planning diners can also help. If thinking of planning a weeks worth of meals is too overwhelming start with a couple of days. The meals do not have to be gourmet. Make sure to cover the basic food groups and keep the meals well balanced. Making a choice from each food group is a good way to start. This gives them something to work with. Try staying away from becoming a made to order cook. Many families have a habit of making two meals, often cooking something for the adults and then another meal for the children. It can become exhausting. Preparing a single meal for everyone and try allowing the children to decide what they would like to put on their plates, but making sure they are making a balanced plate. Children will often simulate adult behaviors’, so make sure you are also following the rules. You will find they will start eating more and more of the foods that are served. A few things to think about when serving meals and at dinner time is not to make reference to the chooses they have made. Keep clam and let them eat. The idea is to serve a well balanced meal, their job is to make sure to eat it. The last thing is not to make reference to what they are eating and how they are eating it. Often children will just not eat because they are feeling like they are forced. When introducing new food, do it slowly. Kids by nature are new-food-phonics. Sometimes it takes a few times trying a new food before it is accepted. You can even try a hero worship statement, like “You know that Spiderman eats his carrots and that’s what makes his muscles grow.” Sometimes this can work wonders. With all the suggestions in the world sometimes it just takes time for your little one to eat their fruits and vegetables. A few things to keep in mind are allowing treats, having fun, and being a good role model. Make sure to have some fun, including the kids in the process of growing the food and preparing it can them look at things in a whole other way. Making smiley-faced pancakes and silly pizza faces is a great way to have a good time with your kids. The most important thing is to also eat a well balanced diet. If you are always watching what you are eating and taking energy supplements and diet pill, your children will also begin to think that is a healthy lifestyle. Be true to yourself and think of ideas on how to be a healthy person for your children. Eating a well balanced diet with fruits and vegetables is the best way to encourage your children to do it too. ← Say What? Things Women Say Men Do Not Understand. Say What? Things Women Say Men Do Not Understand. Copyright © 2019 Todays House Wife. All rights reserved.